The closest beach is 10 m away. The property is 10 m away from the coast. Ship / ferry port - 300 km. 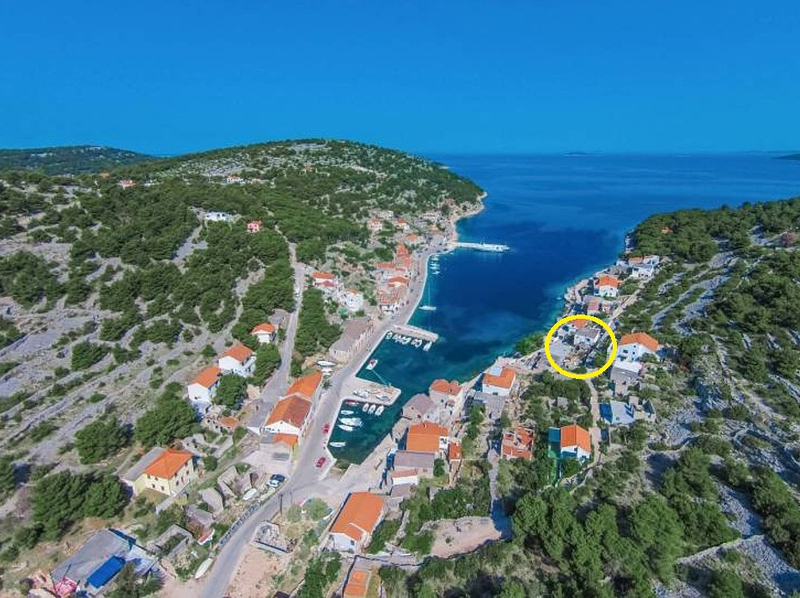 Closest infirmary/hospital - 1000 m. Closest public transport (bus etc) - 300 m. Grocery store - 200 m. Closest restaurant - 200 m.
Instant booking unit Exclusive offer of To Islands Travel agency. Booking possibility only through our agency. Apartment type: A1. The apartment has 5 bed/s for adults. Capacity (adults) is (5). It has 3 stars Apartment has 60 m2. It is on high groundfloor. Access for the disabled is not enabled. Number of bedrooms: 2. Number of bathrooms: 2. Number of balconies: 1. Flooring in the bedroom parquetry, tiles. In the bedroom is double bed. In the room is one single bed (for one person). Bedding is available to guests., Bathroom inside the bedroom. Flooring in the bedroom parquetry, tiles. In the bedroom is french bed. Bedding is available to guests., Bathroom inside the bedroom. Air conditioning in the living rooms (included in price), TV set, DVD player, smoking allowed inside the apartment , air conditioning in one bedroom (included in price). Table and chairs, kitchen sink, hob with two cookers, electric hob, oven, refrigerator, freezer. The bathroom has 6 m2. In the bathroom is the next equipment: bath tub, toilet, tiles, bath towels. Bathroom has 8 m2. In the bathroom is the next equipment: shower, toilet, tiles, bath towels. Balcony/teracce of the apartment has 80 m2. Features and equipment: seating set, partly covered, orientation sea side, sea view.